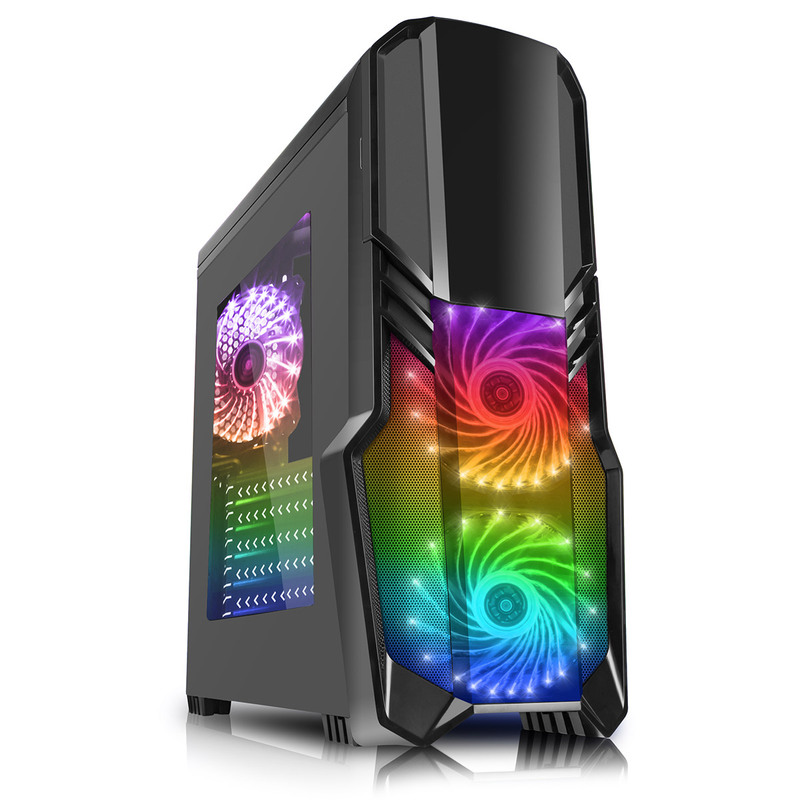 The G-Force is a midi tower gaming case with a combination of metal mesh / semi transparent front panel and a plastic front door makes this different to other CiT models. The I/O Ports are conveniently located at the top of the case, giving the user easier access. The powder coating to the exterior and internal of the case, complete the luxurious and outstanding design. With safety in mind, the edges of the G-Force are all rolled to minimise any injuries whilst building the system. The G-Force supports the following motherboard types: ATX, Micro ATX and Mini iTX. Use the Remote control to choose the fan colour or to scroll through them all.